It's STGCC time! Singapore's Toy, Game & Comic Convention is here and is celebrating it's 10th anniversary! I was there and so were several of the local companies with their amazing stuff! 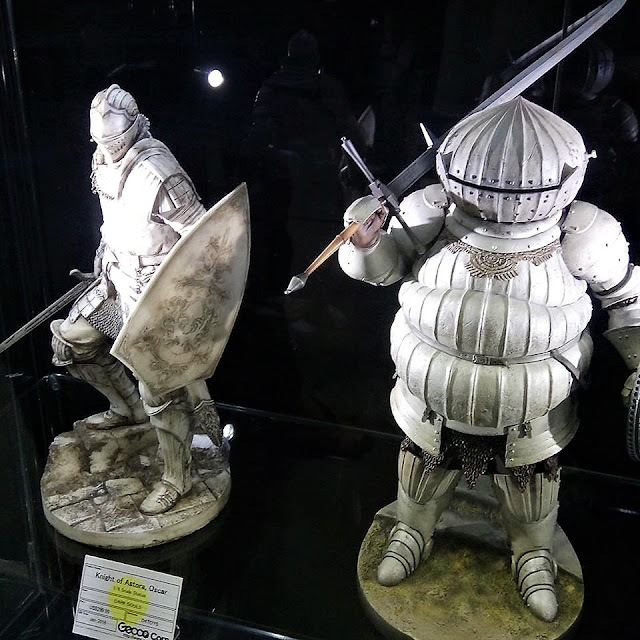 In this blog update, I'll be sharing pics of the various gaming collectibles that caught my eye! So many amazing pieces but this Darkstalkers Morrigan Statue from HMO Collectibles was one of the stand-out pieces at the con for me. 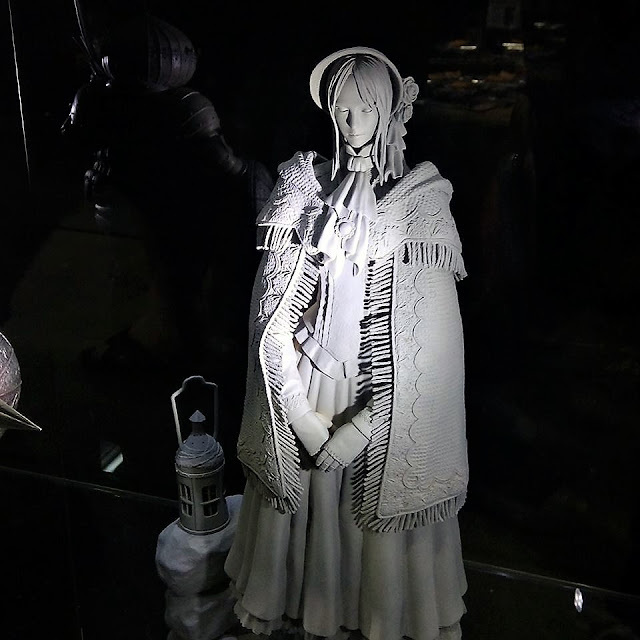 Great sculpt, beautiful lady, vibrant paint app.. this had everything you could ask for..
One of those pieces that you wish you had some sort of attachment to the character/license to buy this. HMO Collectibles also had their Megaman statues on display.. which are sold out if I believe..
That said.. I'm enjoying my adulthood now! One of the characters from their original Bounties of Bathos line.. For some reason, this reminds me a bit of Darksiders. Something that may happen? Or maybe just a dream..
Kinetiquettes with their 'War Heroes' diorama featuring Guile and Nash from Street Fighter. 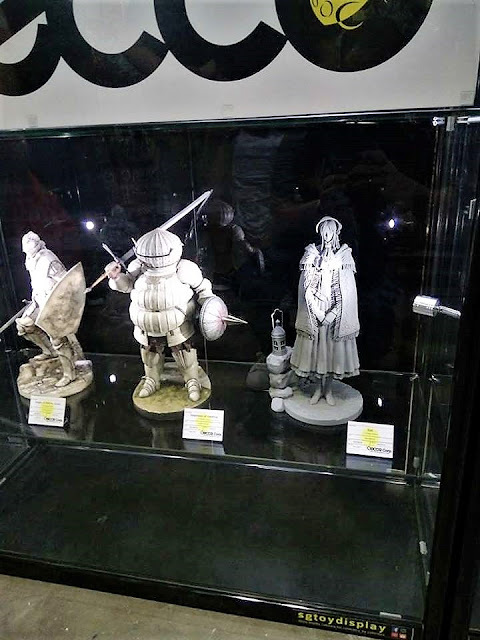 All these beautiful dioramas.. I had to ask the Kinetiquettes guys.. "What about Mortal Kombat?" They are definitely interested in the license but there are some complications.. So it's something that could happen and I'm keeping my fingers crossed for that! The Little Box retailer had this 1/3 Kratos from God of War on sale. For the price it's going at, this still baffles me on how it is not sold out yet. Drop them a message if you are looking to get a 1/3 piece for a really amazing price. 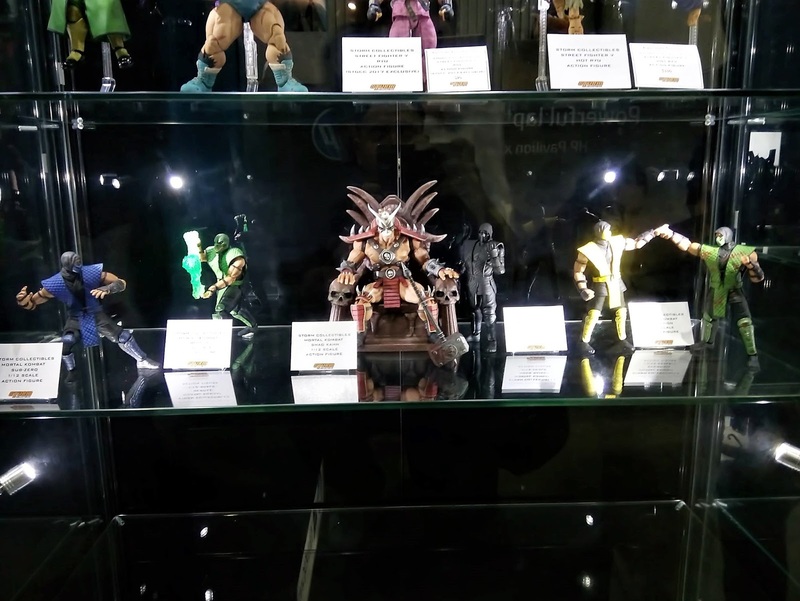 Gecco Corp had their Dark Souls and Bloodborne 1/6 statues..
And finally.. Storm Collectibles with their 1/12 Street Fighter figures..
and of course.. my favourite Mortal Kombat ones.. The articulation on these figures are just perfect for these fighting game characters. Just look at all those dynamic poses! Of course, that wasn't all at STGCC. For all the other non-gaming collectibles, do check out my Facebook album.. Hope you like the pics!